A healthy air duct system that optimally manages your indoor air flow, regulates temperatures and removes contaminants from the air is a great addition to any home. Residents around the states have been taking advantage of airflow technologies for years because of this, making the benefits of such systems become evident in daily life. However, when it comes to the upkeep of such systems, many overlook integral air duct maintenance tasks which keep these systems in great health, allowing them to perform better for longer. When this happens, cracks quickly begin to show in many regards, all of which are avoidable or if needed, easily fixable. If you have been noticing a decrease in air quality at home, can’t get rid of that stubborn smell of cigarette smoke or can’t get the previous levels of performance out of your HVAC unit, it could be that your ducts need some servicing. Issues as such point to problems with your systems sealants. A great air duct system works under airtight conditions, where each particle of air goes exactly where it is supposed to, and doesn’t seep out of your vents instead of traveling to their destination. If there are any air leakages in your system, then consider having your air duct sealed, repaired or replaced. You will notice the difference immediately. The need for general bouts of upkeep may also be required to keep your system in good health, specifically if it is used often. Calling on the assistance of a professional technician to conduct overall inspections and HVAC unit maintenance is a task that should be conducted at least annually to keep it in great health, and performing as expected. Vents that are clogged with dirt may struggle to perform properly, and may even contribute to a decrease in air quality at your home, as they spread these harmful pathogens all around. 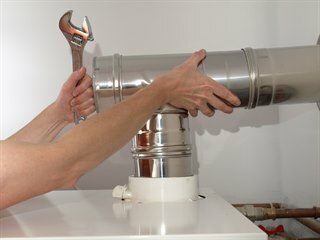 As a matter of fact, when a system is misbehaving, instead of requiring intricate air duct repair services, a simple yet professional cleaning or air sweep is all that is needed to get everything back in working order.Therefore, very often a professional air duct cleaning service is the one simple but efficient solution. Throughout time, your air ducts might be undergoing some wear and tear and not performing to their full capacity, leading to potential dust and mold infestations and a loss in energy. Thankfully though, high-quality cleanup and maintenance services are able to generally solve these problems. Our team of expert technicians from Air Duct Cleaning Oakland are ready and able to help you with whatever issues your ductwork may encounter!